Welcome to "First Week at the Firm," a new FindLaw feature for beginning associates, focused on helping you navigate the transition into firm life. We hope you'll enjoy this new series and come back regularly for more insider tips. 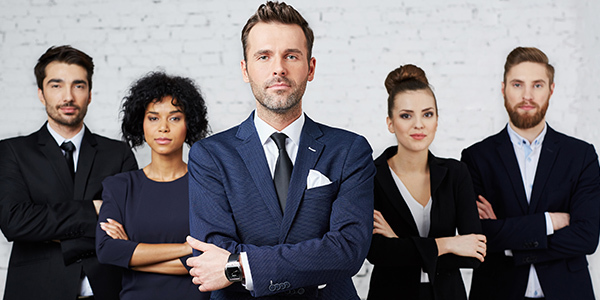 As you get settled into your new office, you should know that at a law firm, as in any organization, there are people who can get things done. Non-lawyer support staff have thankless jobs, but in reality, they often hold a lot of sway in terms of making your day easy or difficult. It's up to you to reach out to the people, say hello, and stay on friendly terms. Here are three people you need to make friends with in your first week. The modern office is awash with technology that you're going to need to use. Whether it's help installing an application the firm won't let you install (sorry, IE, it's all about Chrome), fixing a printer jam, or getting your email to work, it pays to be on good terms with the IT guy. What happens if you're nice? Well, then you might get extra-nice treatment, and when a batch of big, new monitors comes in, you might find yourself on the list. If you're not nice? You don't get bad treatment, but you might wait longer for IT help and you'll only get it if you stick to the letter of the rules (Got a problem? Call the service desk first). Remember: Your version of "urgent" and the IT guy's version of "urgent" are often very different. Filing paperwork is perhaps the least fun job of being a lawyer. That's why your legal secretary does it -- so you don't have to. Don't take your secretary for granted, though; become friends with him or her so that your ridiculous requests don't seem so onerous. But if you aren't nice to your legal secretary? Suddenly things take a lot longer, and you get told that your secretary can't handle your billing for you. And people whom you don't want to talk to get put through instead of being told you're away from your desk. See how it pays to make new friends? Need a new chair? A new desk? Maybe a nice bookshelf? Just want to know what the office gossip is? Like the people in the IT department, the folks in facilities interact with everyone in the company, so they know what's going on. They're also in a position to really help you with the little things that make your day better, like that chair. Or maybe you want some wacky ergonomic thing on your desk? The facilities people can make that happen, too -- or not, if you don't make friends with them. The moral of the story is, as Bill and Ted put it, "Be excellent to each other." But be especially excellent to these people.